Usually speedruns are about breaking the game to reveal hidden secrets that help players finish it as quickly as possible. Speedrunning Paper Boy, on the other hand, means delivering every single bundle of newsprint with precision and grace. 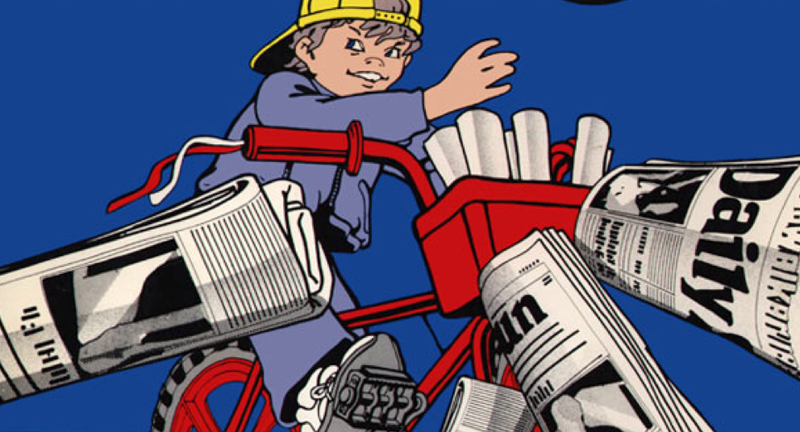 If you’ve ever played Paper Boy, one of the first ever management sims to appear on a console, you’ve probably wondered about the person who’s managed to deliver papers to every house without once crashing their bike or breaking a sweat. One of them is Andy Schanz, who currently holds the world record for doing so. His time was 10:43. Achieved last spring, no one has dislodged his time despite some solid attempts from others in the admittedly small community of people still actively playing Paper Boy. Skip to this weekend and Schanz was invited to be part of the Best of NES marathon which streams back-to-back speedruns of different games from that era by the people who have learned to master them. Think of it as the Minor League to the bi-annual Games Done Quick events. And since the former focuses only on NES games, it can get into smaller, more niche games and genres that don’t always get attention in the more mainstream speedrunning community. Eliminator Boat Duel, for instance, has yet to appear at a GDQ. The 1991 racing game is obscure, but has some pretty interesting speedrunning mechanics as a result of its bizarre premise and rules. Paper Boy is similar. It appeared at SGDQ 2012 but hasn’t been back since. The demoed time during that event was 11:16. This weekend Schanz managed 11:00 despite trying to crack jokes nonstop and running into a dog (he also missed delivering to the house as a result, effectively disqualifying the run). It was still an insightful journey into the depths of Paper Boy mechanics and lore, however. “High bike. Bam! Save the frames, kill the paper boy,” Schanz screamed at one point during the run, a reference to the need to get hit by the very last cross-traffic biker at the end of a block in order to end each level early. He has spent most of his burgeoning speedrunner career focusing on 2D fighting games, but the fact that the previous world record for Paper Boy was missing a few high bike crashes (their appearance is RNG-based) drew him to accepting the challenge. The sometimes comedian also noted ongoing discussions within the greater Paper Boy community about the nature of each of the game’s obstacles. The four-legged creature that has frustrated so many players, and messed up Schanz’s run, is believed by some to be a cat, which he can’t understand since it barks. Then there’s the guy who appears to be pulling up and or pulling off his pants. Is he a break dancer or a derelict? And who could forget the customer running out of their house as you ride by to deliver them the morning news. Schanz has determined they are holding butter knives, perhaps an indication they’re less interested in trying to cut you than getting back to their half-buttered toast. The Best of NES 2017 will continue streaming throughout today and into tomorrow, with the event wrapping up around 3:00AM EDT Monday morning after concluding with Final Fantasy II. You can watch the marathon live in the stream below.